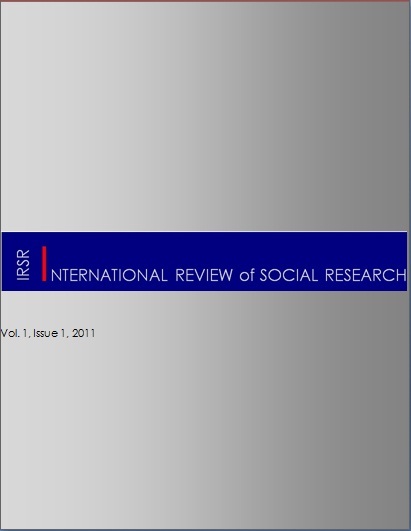 International Review of Social Research is committed to double blind peer reviewed system. Both the author(s) and the referees’ identities are obscured during the evaluation procedure. After the initial editor screening, the manuscript is sent for evaluation to two to four referees. The editors are committed to an efficient system of evaluation. A decision on the acceptability of the manuscript will be communicated within two months of submission. Author(s) may suggest the name, affiliation and e-mail of up to two scholars whose specialization allows them to evaluate the manuscript. These should exclude colleagues in one’s department and doctoral dissertation supervisors. Author(s) may also indicate the name of up to two scholars who should not act as referees for that manuscript. The author(s) should remove any elements, especially self-citation, from the body of the manuscript, footnotes or references which might help the referee to identify the author.